How Specific Should Your Domain Name Be? 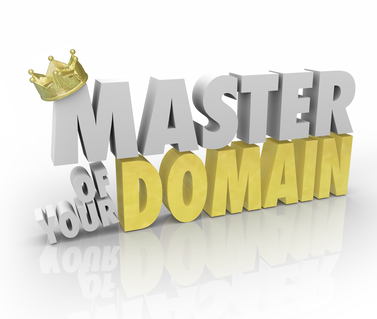 You want to use your domain name to communicate both the service your business offers as well as its geography. Whether you’re in a big city or small suburb, location matters for your domain name, even if you’re a web-based business. If you’re a dentist in Detroit, consider the perks of BestDetroitDentist.com. Easy, memorable, keyword happy. Your domain name doesn’t have to exactly match your business name. Use the keywords you’re hoping to be found for along with geography to craft an effective domain name. Do You Need More Than One Domain Name? Every now and then you hear about a lawsuit where a cybersquatter bought up all possible domain names featuring a public figure’s name or a prominent brand (e.g., iPhone5). Typically, the goal of a cybersquatter – or domainer – is to then wait for people to come to him and demand a tidy sum to relinquish this URL. In more rare cases, cybersquatters use these domain names to sell knock-off goods or services (or bash a competitor, particularly in the political world). In any case, the chances of a domainer targeting your specific brand is unlikely, so you needn’t buy up every .com, .org, and .net that are available. Do You Need to Worry About Domain Name Security? There is a big difference between domain name security and the kind of security your site needs to cloak a customer’s personal or financial information. When you purchase your domain name, your registrar will probably offer you the option to make your whois info private. There is no point in paying for this private registration service. You’re already online, your contact info is available on your website – who would you be hiding your whois info from that couldn’t just as easily find you through your own website? Don’t fall for your registrar’s persuasive marketing material that makes you think you need to buy this service. How Much Do You Really Need to Know About Domain Names? As you make your domain name decisions, be sure to protect yourself. We’re not talking whois info now, but plain old common sense. Register the domain name to yourself, have the username and password in your hands (even if you have someone else creating this registration for you). Your domain name is your online real estate – would you let someone else put their name on your mortgage if they weren’t also footing the bill for it? Even if you trust your in-house IT guy with your life, you still need to be the one in charge of this URL so that you can log in at any time to make changes or renewals. Better yet, sign up for auto-renewal of your domain name so you will never have to risk your website going offline. There are plenty of things to consider when it comes to domain name. A conscientious, knowledgeable IT professional will be able to guide you through the process and answer any questions you may have, including why it’s important to retain your domain name when it’s time for a website revamp. No matter how young or old your domain name is, we can help. Give us a holler.